Did an app failure cost Romney the presidency? President Barack Obama is the first president to preside over the smartphone age in the U.S., and in both of his presidential campaigns the technology he employed helped him win the election. On the other hand, Mitt Romney's campaign clumsily handled technology as though it were a wet football and the failure of an app might have led to the easier than expected re-election of President Obama. 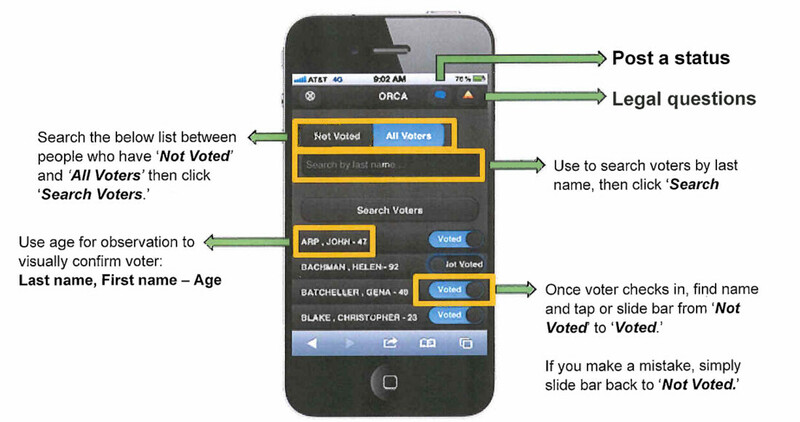 The app was part of a system called Project ORCA that was designed to collect and monitor polls using smartphones to collect information in real-time. The goal of the app was to see which areas of the country were suffering from low voter turnout. The Romney campaign would then send out staff to get the vote out in those areas. But instead of adding thousands of votes, a number of problems with the app and how it was accessed might have led to Romney missing out on thousands of potential votes. Using the app was designed to be faster and more precise than using phone calls to get voters to areas where they were needed the most. "We will have had much more scientific information just based on the political operation we have set up," said Romney Communications Director Gail Gitcho to PBS. Another campaign worker laid out the game plan for the use of Project Orca when he said, "By knowing the current results of a state, we can continue to adjust and micro target our get-out-the-vote efforts to ensure a Romney victory." It might have been the app that led Romney to be so confident of winning, that he prepared only a victory speech for election day. By the time the evening rolled aound, the app had crashed and could not be used. A source in Boston told a Washington paper that "somebody said Orca is lying on the beach with a harpoon in it." Even before sunlight started to fade last Tuesday, Romney's campaign workers were having problems using Project ORCA. Some of the problems were due to the lack of technological prowess among Romney staffers and volunteers. One volunteer, reported that the materials used to train campaign workers was inaccurate. Romney campaign staff was told to look for a native mobile app when it was a web app with an https URL address. Because http did not redirect the user to the correct site, anyone typing www or http could not access the site. Romney himself said that Project Orca would give him an "unprecedented advantage on election day." 34,000 operatives with the Project ORCA app installed on a smartphone were placed in key areas around the country. Based on data that these campaign workers were generating with the app instead of listening to traditional exit polls, the Romney campaign would know by lunch time which states they were ahead or behind in and could shift resources from states they were winning to the states they were trailing in. By the time the polls were closed, Project ORCA was supposed to know how 18 to 23 million people voted. By 4pm on election day, Project ORCA was calling for an electoral vote total of between 290 and 300 for Romney which would have given him more than the 270 electoral votes needed to win the presidency. Compare this to the incredible accuracy of Nate Silver's fivethirtyeight blog which gave Romney only an 8% chance of amassing the electoral votes needed for victory the day before the polls opened. Project ORCA failed, costing Romney thousands of votes. Yet, not all of the problems were from the technology as CBS News' Jan Crawford suggests. "They expected it to be between 2004 and 2008 levels, with a plus-2 or plus-3 Democratic electorate, instead of plus-7 as it was in 2008," said Crawford. "Their assumptions were wrong on both sides: The president's base turned out and Romney's did not. More African-Americans voted in Ohio, Virginia, North Carolina and Florida than in 2008. And fewer Republicans did: Romney got just over 2 million fewer votes than John McCain." No, their problem was that it was an iOS app and they read it 'the wrong way'. More finger-pointing and refusal to face facts and data. It was over with when team Romney started attacking pollsters. Maybe one or two polls could be off. But 40+ in the last week before the election? I believe both Romney and Obama have been doing a lot of finger pointing. If you're going to call one out, you better call the other one out. The real Dr. Phil is a Democrat! Get your own handle!!!!! Since when can you be a Democrat, Republican, or Independent and not be able to call out politicians of any party on what they've done wrong? I know plenty of Democrats who were upset by President Obama's first term. In fact, if you look at the popular vote, Obama was down about 8 million votes this time around. I wouldn't say these votes went to the other side, as Romney was also down about 2 million votes from McCain's 2008 presidential run. I have talked with a good handful of Democrats who were upset over Obama's term in office and told me they were either going to go third party or not vote at all. Same goes for Republicans. I know a good handful of Republicans that were upset over Romney being chosen as their nominee and decided to vote third party this time around. The point is that just because you may identify yourself with a certain party or consider yourself an independent, that does not mean you are not allowed to call out the politicians on what they've done wrong. Romney lost because he was an insincere liar. Saying one thing this morning and another by night fall. Say what you mean and mean what you say. The Republican party needs and over haul it is being torn a apart by the tea party. Both parties need to get rid of public interest groups, and do whats right for America instead of whats right for people with large sums of cash who are pulling stings behind the scenes like the Koch brothers, or by Grover Norquist. I loved seeing Romney's comments in the what's hot section of Google+. 90% of the comments were people fact checking him and calling him a liar (guilty of that myself on multiple posts). Maybe I'll see if Fox News posts in G+ and have some fun with that. IMHO, one of the biggest failures of this program was inaccurate communication from the people in charge: ORCA wasn't an "app" in the "download an app to your phone" sense, it was a "web app" in the "navigate to a website, log on, and go from there". By insisting on using a misleading buzzword instead of being explicit about what was going on, people were confused. Not to diminish the tech savvy of the volunteers but when was the last time you heard about an "app" that WASN'T something you downloaded directly to your phone? No, Romney was winning until Sandy hit. Somehow he got more votes even though a democrat stronghold with millions of democrat voters was left without power and water. uh huh.. polls said that 40% of peeps that voted for Obozo said his "sandy efforts" (aka photo op) pushed them towards him. he didnt do jack squat other than walk around with Chris Christy.. that jackass cost his own party the election. People are frikkin stupid. Well, Obama was lucky that Chris Christie didn't eat him. I'm not an Obama fan but, it was genius the way he "spun" the hurricane to his advantage. What about cutting red tape at FEMA? You know, that agency Romney wanted to get rid of. And when asked about it, didn't have the courage to answer the repeated questions. But OK, we'll go with your theory that lack of power because of a hurricane is "obozo's" fault. Can you add two wars on a credit card (1 on false Intel), a $500 billion surplus to $10.2 trillion deficit, the worst economic collapse since 1929, terrorist attacks on US soil (in spite of a CIA memo called "al queda determined to attack in US")? Let's forget about the fact that more jobs have been added in the 6 months than the previous 12 years. I guess there is no improvement and tax cuts for the 1% was the answer. It worked so well in 2002. Or, maybe Romney lost because he demeaned the 47% ( which is mostly people who pay payroll taxes, social security recepients, military in combat such as myself, and college students). Or maybe he Obozo won because the app was bad, the dept. of labor cooked the books, a hurricane, the liberal media, and Karl Rove was right. But remember, Obozo, won the 10 highest educated states, Romney won 9/10 least educated states......what a coincidence. E X A C T L Y!!!! But I guess its Obama's fault for the war that started after 9-11.... You know what makes this even more amazing comparing Bush and Obama...didnt Clinton have a major war happen on his watch? How was jobs and the economy while Clinton was in office? Gas was real low while Clinton was in office. Makes you wonder now, and ppl should really step back and look at the bigger picture and stop blindly hating... But for some wild reason....people never wanna talk about Clinton. remixfa - there is fairly objective polling proof that Sandy did not 'interrupt' Mittens' 'momentum'. You may not want to hear this, but Mittens' was starting to slide in a majority of polls that were conducted in the swing states before Sandy hit. Since the POTUS is elected by electoral votes, swing states are all that matters (ask W. about that - 2000, eh). Blaming Sandy or polling bias or whatever for Mittens' loss ignores the fundamental fact that the Rs need to broaden their appeal. The point when Mittens became viable was when he was able to turn to the center in the first debate and Barry didn't challenge him. He went into the debate with a campaign that was on the verge of being written off. By his crew of fellow 1%-er donors, no less. How is this different from Romney's photo ops? Oh wait they were legitimate and not staged.. Face it. 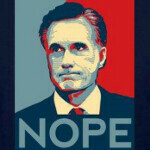 Romney was a clown who flopped on all the issues, failed to give details on his plans and flat out lied. Romney didn't lose because of an app. He lost because people don't want another President from a backwards political party like the Republican Party. Watching Romney run for election is like watching Donald Trump running for election. All they do is run their mouth trying to make the other look bad, while staying inconsistent with their goals and plans. The first news I saw about him before the election started got me thinking what an a-hole this guy is and I can't believe how many support he gathered with the way he is. The future looks bad if this the kind of presidential candidate that's going to be running for elections. We should be picking between quality individuals, people like Romney is certainly not one of them. He lost cuz America don't want another Bush era, good an real Republicans like Ronald Reagan doesn't exist anymore...!! !